This hymn is most often sung at Passiontide. Its appearance in many modern day hymnbooks is testament to its appeal as a meditation on the passion and death of Christ. The author of the hymn’s text was Samuel Crossman (1625-1684), who wrote the hymn in 1664. It was originally published with several other hymns, but this one has become Crossman’s best known. 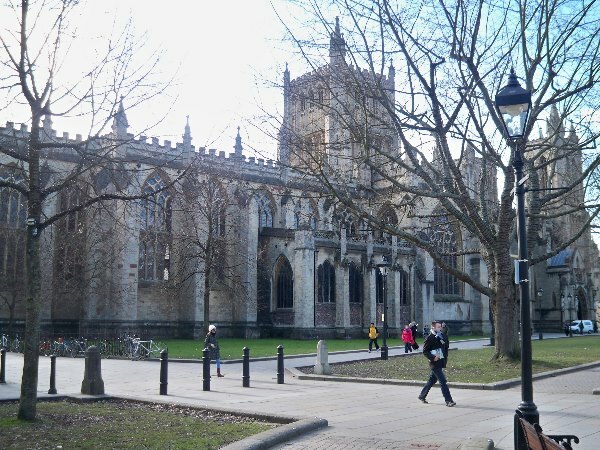 Crossman provides a Bristol connection: he was born in Suffolk and in 1667 was appointed vicar of St Nicholas, Bristol. He lived in Bristol for the rest of his life. In 1683 he was appointed dean of Bristol Cathedral, but had served less than a year when he died. It was to be over 250 years before Crossman’s text was combined with the tune LOVE UNKNOWN to which the hymn is now sung. The tune was written by John Ireland (1879-1962) as part of a commission for several new tunes to be included in the Public School Hymnbook. It first appeared when the hymnbook was published in 1919. John Ireland’s tune LOVE UNKNOWN, written for Samuel Crossman’s words (played here on the Snetzler organ in the New Room Chapel, Bristol.